We spent a good part of this year remodeling my sister's master bathroom. We started this crazy project in February and finished in November. 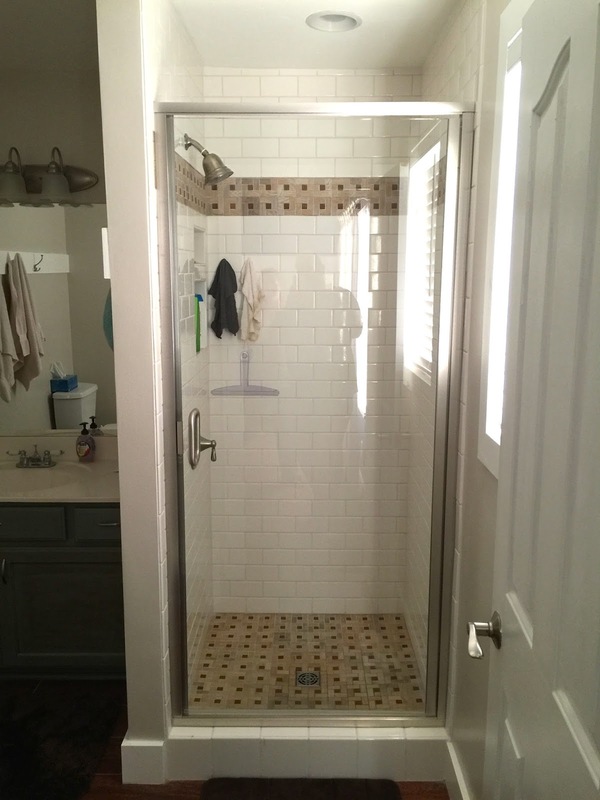 All the hard labor was done in July, but it wasn't until November that the crowning jewel, the shiny new glass shower door, was installed. 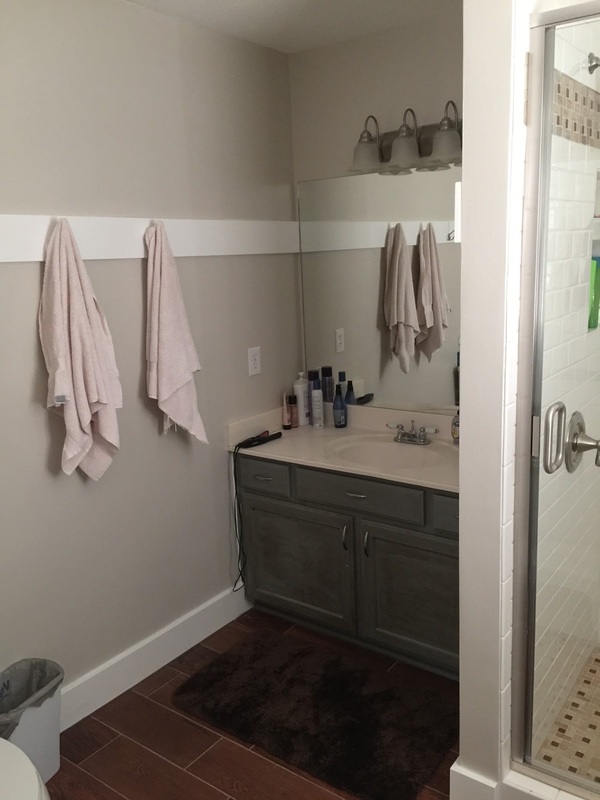 With that being the last piece of the puzzle, my sister and her hubby can now enjoy their new lighter and brighter bathroom! 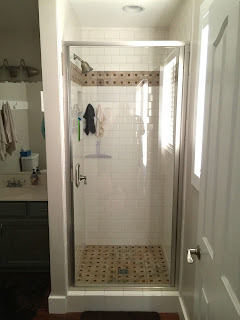 We found all the materials (minus the shower door) at Home Depot.